Photo by Kelli Griffin, and courtesy of American Cooperative School of Tunis. Maker Faire is a celebration of invention, creativity, and resourcefulness. It’s a place to show what we’ve made and to share what we’ve learned with others — a great match for any educational community. Schools host Maker Faires because they are a perfect combination of part science fair, part county fair, and part something entirely new. School Maker Faire exhibitors, or “makers,” are primarily students—either as individuals, clubs, classes or groups. And Maker Faire exhibits can be from any discipline — from science to art to gardening to engineering to craft. School Maker Faire organizers can be teachers, parents, administrators and even students. The typical result of a School Maker Faire is a student body bursting with creative invention and excited to get more into making and STEAM (science, technology, engineering, art, and math.) Our School Maker Faire program is intended for K-12 (or international equivalent) schools. School districts need to request permission to register for a district-wide event. University or college-level programs — or schools interested in hosting city-wide Maker Faire events — should apply through the Maker Faire Global program website. 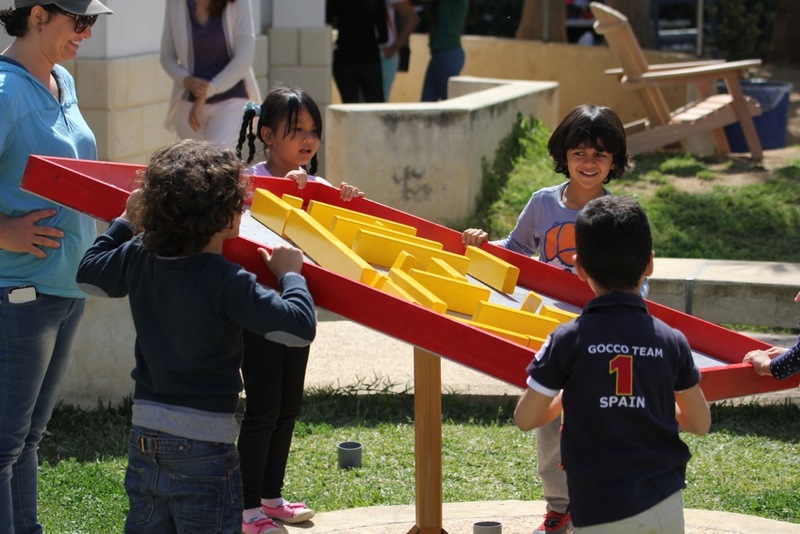 We ran an online hangout called Get Going with Your School Maker Faire about some of the things you may need to know about running a School Maker Faire, featuring Sabrina Merlo of the Maker Faire Global program and Adam Campbell of the American Cooperative School of Tunis. Finally, be sure to check out these pages (also linked above): Steps, Guidelines & Resources, Register Your Event, Find a Faire, and Organizer Resources.